Heads up, emoji lovers: A brand new batch of icons – including gender inclusive couples, a waffle, pinching hand, sloth, otter, yawning face, guide dog, ice cube, and white heart – are coming later this year. There will be a total of 230 new emojis arriving on mobile phones this year – likely in September or October, as part of a new Emoji 12.0 release. Emoji will continue to expand their collection of emojis to be more inclusive, offering more representations of various skin tones and hair colors to include all couples, races, and interracial couples. 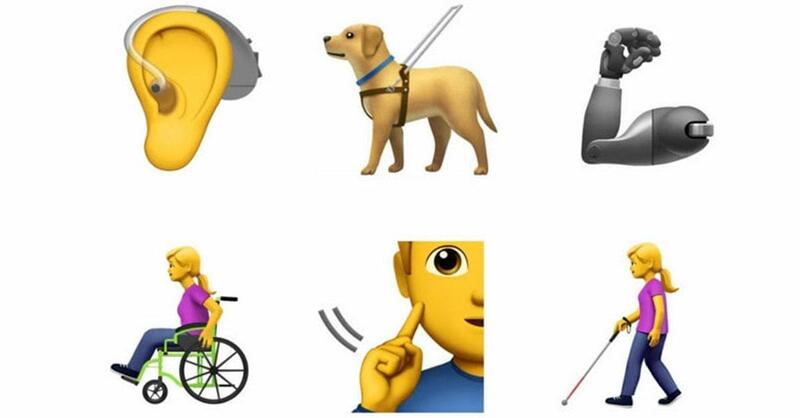 The list includes a bunch of accessibility characters: two different types of wheelchairs, a service dog, guide dog, probing cane, mechanical arm and leg, deaf person, and an ear with a hearing aid. They’ll also have new food, beverage and animal additions.